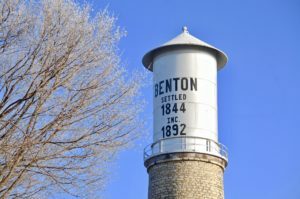 Benton is part of a business “incubation” support process that helps start-up businesses and industries. The Benton Business Incubator was created to nurture start-up companies and entrepreneurs and to help them make it through those first few critical years of business. The business incubator offers small and medium-sized start-up businesses office, manufacturing, and warehouse space at low, affordable monthly rates. Additionally the incubator provides a variety of business-assistance services and resources that are beneficial to successful growth. 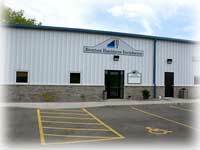 The Benton Business Incubator is located on the west edge of Benton at 244 Ridge Avenue, just off State Hwy. 11. That location allows easy access for your customer base and for truck traffic to and from your industry. Major four-lane state highway systems are just minutes away. A profile of the Benton Business Incubator is provided by clicking on the link Benton Business Incubator below. Answers to frequently asked questions are also given. For additional information regarding how you can start and grow your business in the Benton Business Incubator, please contact us at (608) 759-3721, or email us at [email protected].